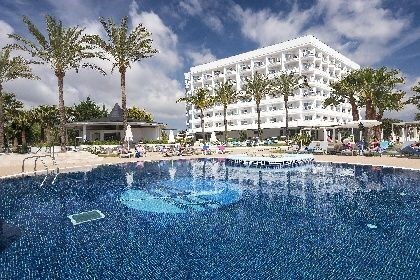 The Cala Millor Garden is the perfect hotel for couples who are looking for a peaceful, fun holiday in this popular resort. The air conditioned rooms are all well furnished and equipped for your comfort. There is plenty to do with both an indoor and outdoor pool and entertainment. From summer 2006 meals are on and all inclusive basis which means that you can enjoy breakfast, lunch, dinner, snacks and all local soft and alcoholic drinks without having to think of any extra cost. Just 250m away is the wide stretch of sandy beach in Cala Millor and only 100m is the resort centre. There are plenty of bars, restaurants and shops and the resort has a fabulous, easy going atmosphere. Cala Millor is on the east coast of the island and is in an area surrounded by lovely countryside and covered with pine trees and olive trees. This resort has absolutely everything for a great holiday!